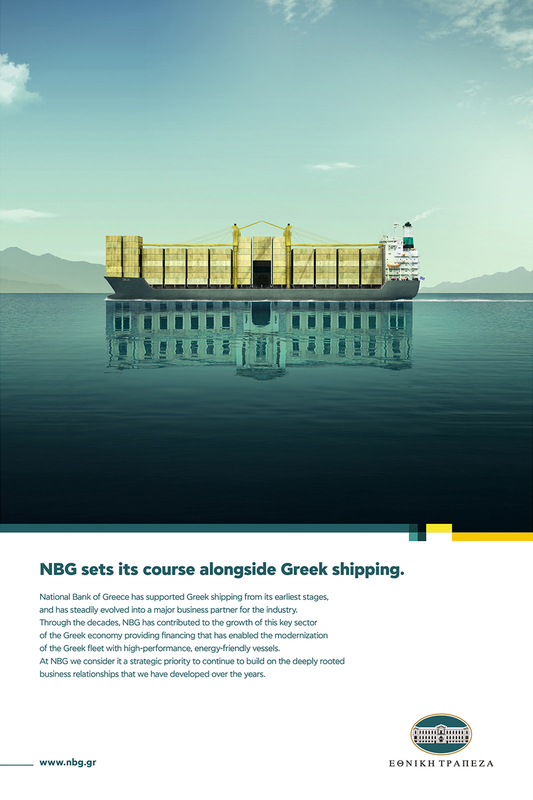 To highlight the long-standing support of the National Bank of Greece to the shipping industry, reinforcing its image as “the pioneering bank that creates future”. The relationship between the National Bank and the Maritime sector dates back to the early 20th century. We created a symbolic key-visual that depicts exactly this partnership; a tanker’s reflection at the sea forms the historic building of Kotzia Square, the central symbol of the National Bank. 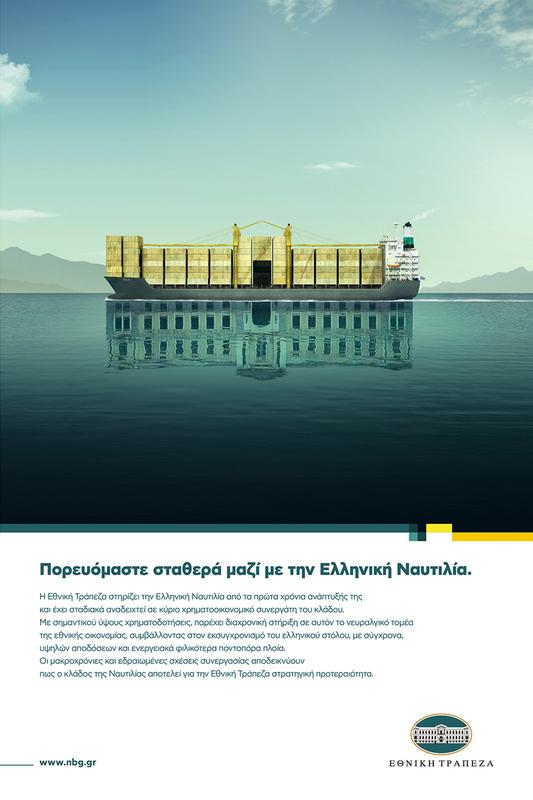 The message of the picture is twofold; apart from the merger, the National Bank emerges as a driving force in the development of the shipping sector.